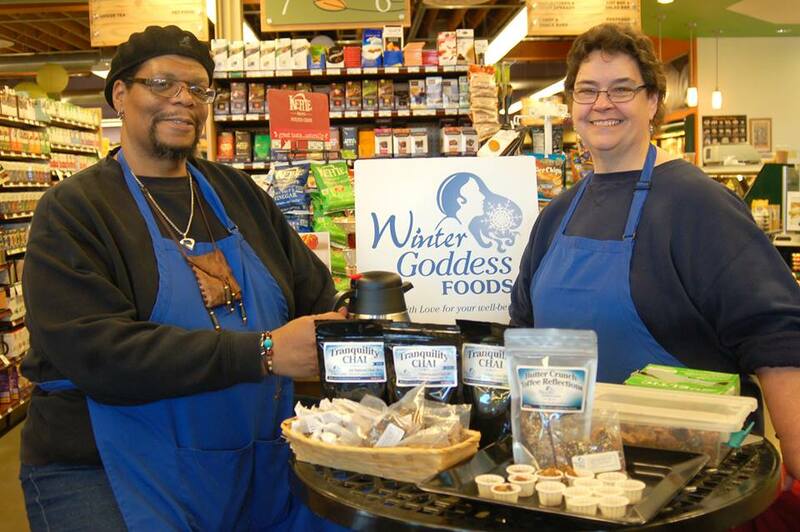 Winter Goddess Foods: The Farmers' Markets are open! The Farmers' Markets are open! Does your city or town host a farmers market? 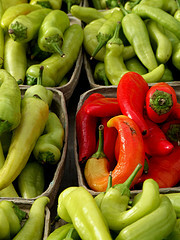 Do you shop there for your seasonal fruits and vegetables? Does it make you feel happy to know you are eating healthy and supporting local growers? If your answer to these questions is "yes," then you deserve a big round of applause! Locally grown foods are often organic in nature and eating fresh picked vegetables is a healthy way to treat you and your family right. Local farmers markets are not so new as some might think. No sirree bub! The fact is that since the time farming first began, there have been markets for the produced grown. Centuries ago, it was common practice that when the harvesting of vegetables happened, whatever was extra was put at the side of the road and those who needed food were welcomed to take what they needed. 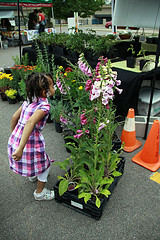 To our way of thinking that indicates the very core of what farmers markets are; they are community builders. And no one in the community is left out! 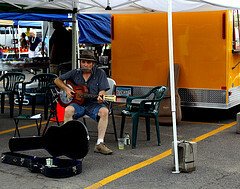 In modern farmers' markets, such as the Midtown Market in Minneapolis, Minnesota, at the end of each market day, growers who have left over produce give it to a place called Sister Camelot. Sister Camelot is an organization that provides meals for those in need and also has a pantry where fresh vegetables and other products are available. Many cities throughout the world established market places where farmers would set up their produce and citizens would come and buy. As times changed and small farmers felt the threat of modernization, the local farmers' market was one way the "little guy" could make an effort to compete and stay viable. In the Midwest, most markets begin at the beginning of May and run through October. As crops become available, one can see the market bloom with lovely and fresh produce. Many markets also include local artisans who sell their wares. This might include seedlings for planting, jewelry, woodworkings, handcrafted items, etc. 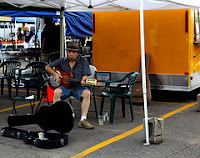 We've learned over time that the farmers' market is not just a great place to buy fresh and local products, but it is also a social event that brings the neighbors out of their homes to a central meeting place to have breakfast, listen to some music and build a stronger community. It might include a bazaar with clothing, handbags, and regional delicacies. And let's not forget the vendors who provide delicious bakery, sandwiches, popcorn and such! There is much to know about the history of farmers' markets. Just go to Helium and you will find out more. So what are you doing this weekend? We say you should get out, be out, come out to the local farmers' market. Meet the folks in your neighborhood and bring home some home grown goodies. Always take time to stop and smell the flowers! Is it Natural or is it Organic or is it both??? What Buying Local Really Means! Fair Trade, it means more than you think. Ginger....getting to the root of the matter.